The Asian American Legal Defense and Education deplores the U.S. Supreme Court opinion released today in Trump v. Hawai’i as a setback for this country’s immigrants, refugees, and their families. 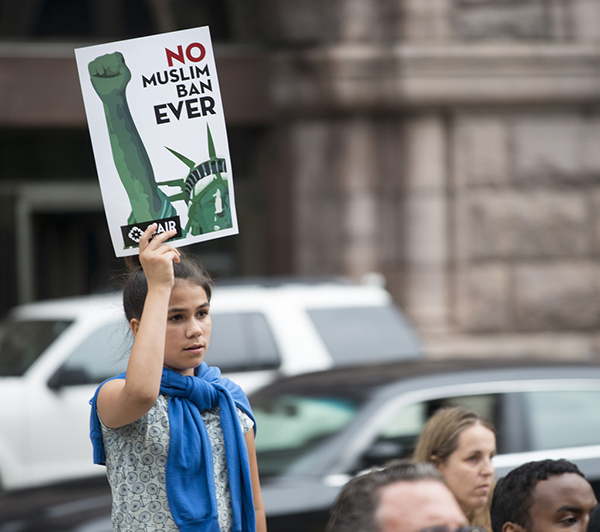 By a 5-4 vote, the Court upheld the discriminatory targeting and exclusion of nationals from mostly Muslim-majority countries, ruling that the president did not overstep his broad powers under the immigration laws. This case centered around an injunction that was issued by the federal district court in Hawai’i blocking President Trump’s executive order of Jan. 27, 2017, prohibiting the admission to the U.S. of immigrants and refugees from seven Muslim-majority countries, including Chad, Iran, Iraq, Libya, Somalia, Sudan, Syria, and Yemen. After the original order was successfully challenged in several federal courts, the third iteration, Muslim ban 3.0, eventually banned, with certain exemptions and waivers, the entry of nationals from the following seven countries: Iran, Libya, North Korea, Somalia, Syria, Venezuela, and Yemen.